Theragran-M Advanced is a widely sold and used multivitamin supplement. It is manufactured by pharmaceutical company Bristol-Myers Squibb. The national drugstore chain Walgreens acquired exclusive rights to sell Theragran-M multivitamins in their stores in 2005. Each Theragran-M Advanced tablet contains a mix of vitamins and minerals that help you stay healthy in a variety of ways. One Theragran-M Advanced tablet contains vitamin A, vitamin C, vitamin D, vitamin E and vitamin K. Vitamin A is vital for healthy teeth, skin, body tissue and mucus membranes. Vitamin C helps grow and repair tissue. Vitamin D helps the body absorb calcium for healthy teeth and bones. Vitamin E protects body tissue from damage by free radicals, which can harm organs, cells and tissues, and keeps the immune system strong. Vitamin K helps blood clot. Theragran-M Advanced tablets also contain B vitamins. One Theragran-M Advanced tablet contains the B vitamins B-1, or thiamine; B-2, or riboflavin; B-3, or niacin; B-5, or pantothenic acid; B-6; B-7, or biotin; and vitamin B-12. These B vitamins help your body use and make energy from food. Theragran-M Advanced tablets also contain folic acid. Folic acid, the synthetic form of folate, is a B vitamin that helps prevent certain birth defects when taken before and during pregnancy. Various minerals, including calcium, magnesium and potassium, are also part of Theragran-M Advanced tablets' ingredients. Calcium helps build strong bones and teeth, magnesium is necessary for proper nerve and muscle function and potassium maintains water balance within body cells. The minerals phosphorus, selenium and chromium are also present. Phosphorus helps form bones and teeth and regulates the body's use of energy. Selenium protects your body against damage from free radicals. Chromium helps your body use insulin. According to MayoClinic.com, if you are generally healthy and eat a varied diet, you most likely do not need to take dietary supplements such as Theragran-M Advanced multivitamins. A varied diet includes vegetables, fruits, low-fat dairy products, lean meats, fish, whole grains and legumes. Taking a daily dietary supplement may be beneficial for you if do not eat a varied diet, eat less than 1,600 calories a day or have a medical condition that negatively affects your body's absorption of nutrients. 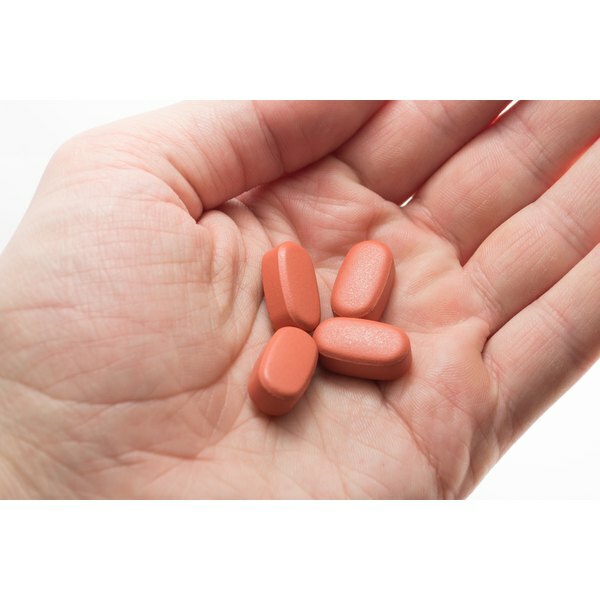 Daily dietary supplements may also be beneficial for women who have heavy menstrual bleeding or who are pregnant, breast-feeding, trying to get pregnant or postmenopausal. The Office of Dietary Supplements cautions that dietary supplements are not intended to treat or prevent diseases. Talk to your doctor whether you should take a dietary supplement. MayoClinic.com: Dietary supplements: Nutrition in a pill?